Cliff Cargill droped me an email to say that his grandfather, Thomas McWhirter was the scale man at J.I.S. in the late 70's and early 80's. He died in 1988. 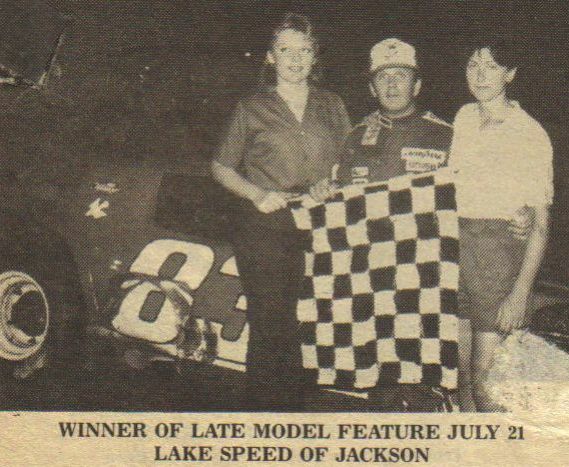 I was surfing around, clicked on Lake Speed's late model, and low and behold there he was standing in the backround! That's also his black camero that he's standing next to. It was used as the pace car from time to time at JIS. Click here to go to Lake Speed's Driver page.